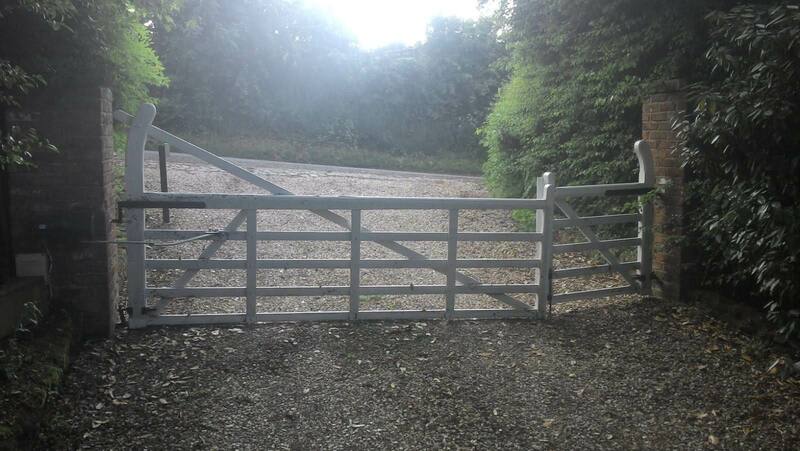 We were recently commissioned to supply and install a new gate and automation for a client in Utkinton. The customer chose to have aluminium gates powder coated in anthracite for a clean look which requires little maintenance as opposed to the standard five bar gate in wood which they were replacing. We installed the gates with an underground automation system giving a nice clean finish to the gates, the customer also upgraded to have additional receivers installed enabling the gate and existing garage doors to be operated from the same remote control. From the before and after photographs you can see what a spectacular difference the new gate makes to the main entrance.